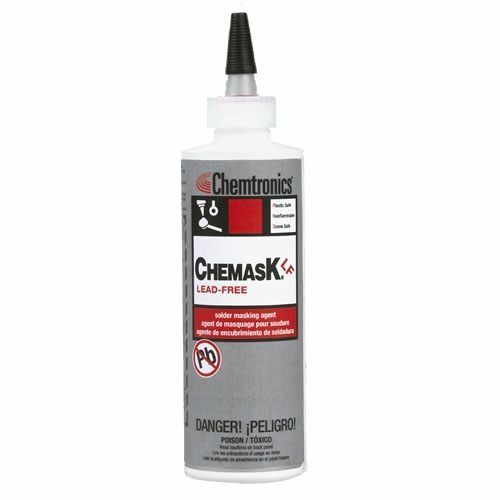 Chemask® Lead-Free Solder Masking Agent is a temporary, fast curing, peelable solder masking agent formulated for use in high-temperature lead-free applications. It is a temperature resistant coating that protects component-free areas of the PCB during wave soldering. 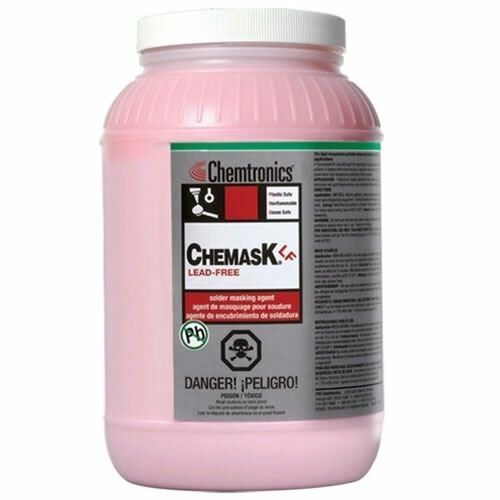 Chemask® Lead-Free can be introduced into the preheat oven within 4 minutes of application without adverse effects. Use to protect pins, posts, contacts and edge connections during conformal coating processes.